Our Mission To improve the lives of children and youth through collaborative efforts supporting advocacy and legislative lobbying. Given access to support services when needed. In 1993, the Community Service Council convened a meeting of agency representatives to consider forming a local group to work on behalf of children at the state level. Consortium membership has varied slightly through the years as some agencies left and new ones became involved. Steve Lewis is an attorney in a private law practice. Mr. Lewis was Speaker of the Oklahoma House of Representatives from 1989-1991 and from 1993-2000 was United States Attorney for the Northern District of Oklahoma. Advocating funding for child abuse prevention programs, including Oklahoma Child Abuse Prevention (OCAP) and Children First. Advocating for a formal bullying prevention program in public schools including passage of HB 1661 School Safety & Bullying Prevention Act. Advocating for the passage of legislation that created the “Oklahoma Partnership for School Readiness,” (OPSR) and a Partnership Trust to raise private sector money for both the partnership and early childhood programs. 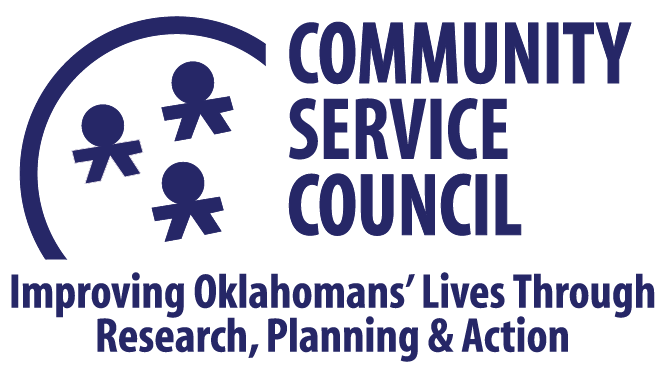 OPSR currently serves as the Oklahoma State Early Childhood Advisory Council. The Consortium endorses this model of children’s mental health services (e.g., family-centered, wrap-around services with case management, etc. ), which requires interagency funding and a format chiefly supported by Medicaid. The Consortium endorsed legislation for passage of HB 2007, creating a permanent funding source for multidisciplinary teams throughout the state to improve child abuse and neglect investigations. The Consortium supported State Question 692, establishing a Trust Fund to receive 75 percent of annual tobacco settlement payments. Q: What is the Children’s Consortium of Tulsa? A: The Children’s Consortium is a members’-dues-supported collection of organizations that work with children in some capacity. Through the Consortium, those organizations come together to collectively advocate and educate state legislators on issues affecting children. Q: How does the Children’s Consortium work? A: Monthly member meetings help drive the policy agenda for the group. During the legislative session, the meetings are twice monthly. Steve Lewis is our lobbyist of record at the capitol. Q: As a non-profit, our organization is not allowed to lobby, so why would I join? A: Non-profit organizations are allowed to educate and advocate for or against legislative and policy decisions, without jeopardizing your organization’s 501(c)3 status. Q: Does the consortium get involved in political candidate races? A: Never. The Children’s Consortium neither supports nor opposes candidates for elective office at any level. We focus solely on education and advocacy on legislation. Strength in numbers: combined message from many organizations can be amplified for greater impact. Direct contact for your organization with experienced and highly-respected former House Speaker. Regular insider updates on legislative activities that can benefit your organization. Interaction with other subject matter experts on topics to benefit your organization. Inform your board or organization’s advocacy committee on timely and important legislative activities. Shared cost of access to a top lobbyist your organization couldn’t hire on its own.